To enable children to use their knowledge and understanding of the English language confidently, now and in every aspect of their future lives. We begin teaching children the individual phonemes (sounds), which make up words, when your child is ready to and not depending on the class they are in. This ensures that your child becomes an independent reader as soon as possible. We use the Jolly Phonics Program which is a fun and child centred approach to teaching literacy through synthetic phonics ensuring that they learn the basic phonetic skills of blending sounds for reading and segmenting sounds for writing. This program ensures that by the time your child leaves year 1 they are able to read and write fluently. Daily Supported Reading is a classroom programme that is delivered initially to Year 1, then introduced into Reception and also for the lowest attaining children in Year 2. Children read in small groups with trained adults matched to their independent reading levels everyday. During guided reading sessions, the children will be completing a range of activities to develop their reading ability and inference skills. Children will be grouped according to ability and will access a variety of fiction and non-fiction texts. During the week the children will be asked to complete a pre-reading task, where they will be given a range of questions about their text and they will make notes which they will use during the following session with their class teacher. Children will then write the answers to these questions in a more formal way. They will also complete a vocabulary activity during one session and an opportunity to read their books at a pace. 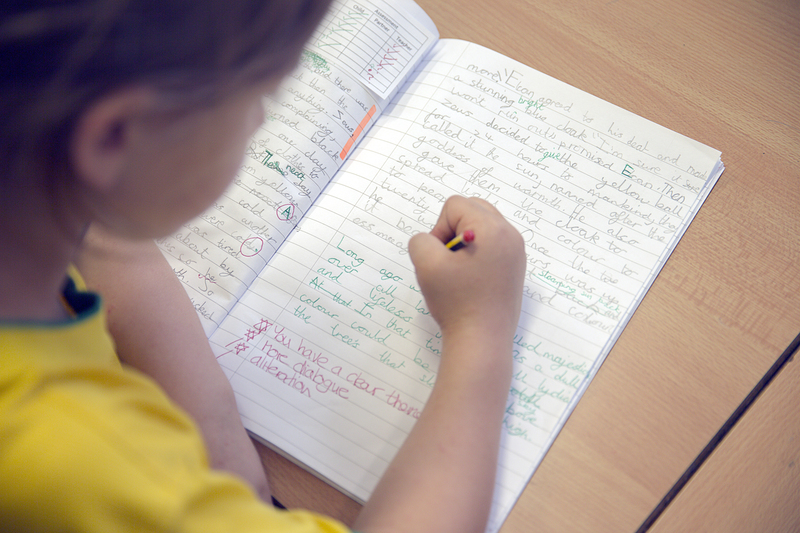 Destination Reader is a new approach to teaching reading in KS2. The approach involves daily sessions incorporating whole class modelling, prior to the children applying these skills through partner work and independent reading. Children deepen their understanding of the texts they read through the systematic use of a series of strategies and language stems. In reception and year 1 teachers and support staff provide children with books to read linked to their reading level. Parents are encoruaged to read with their children every night. In years 2 to 6 we use the Accelerated Reader program which allows teachers and parents to monitor children’s independent reading and provides incentives for children to read regularly. Research shows that children make most progress when they read for at least 20mins every day and have good levels of comprehension of the books they are reading. To ensure children are reading the correct books children take short tests which tell them which book levels they should be reading. You will notice that the books your child is coming home with have small stickers on the front cover. These stickers refer to the level of difficulty of the book. Children read the book and when they have finished they take a short quiz asking them 8 – 10 questions about the book. We are then able to track the children’s reading to make sure they are reading regularly and that they are reading books at the right difficulty level. The system provides us with lots of fun facts such as how many words a child / class or even the whole school has read as well as allowing us to see how they are doing with their quizzes. Each week we reward children who have taken 6 quizzes and got a pass rate of 85% or more. The more children read and score good comprehension marks on their quizzes the more rewards they get! We teach children to write through the Talk for Writing approach which enables children to imitate the key language they need for a particular topic orally before they try reading and analysing it. Through fun activities that help them rehearse the tune of the language they need, followed by shared writing to show them how to craft their writing, children are helped to write in the same style. Schools that have adopted the approach have not only increased their children’s progress but have found that both children and teachers love it. 3) Invention – the children create their own text using the language and skills that the model taught them.